The ancient Taiwanese dress is the same as the ancient Chinese dress since most of the people liviing in Taiwan immigrated from China long time ago. Therefore, Taiwan and China shared the same history in the past. That is why our ancient dress is also the same as the ones in China. A sari is 6-9 yards long material/cloth which is draped around in different styles in India and in parts of South Asia. It is worn with a blouse and is tucked into an inner skirt. 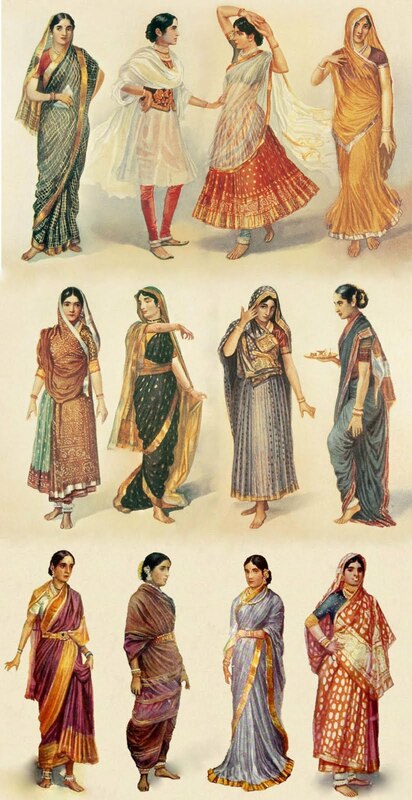 It is a graceful attire and is the national dress of Indian women. Here are pictures of a sari and a blouse piece which is part of a wedding trousseau . National Junior College ,Singapore in 2009 when they dressed up for the Governance class in various state attires of India.